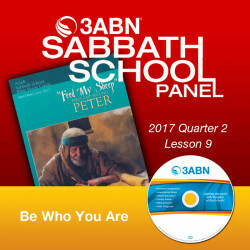 2017 Q2 - Lesson 9: "Be Who You Are"
One of the astonishing things about the New Testament is how much truth can be “crammed” into a very limited amount of space. In fact, not only do we get a kind of catalog of Christian virtues, but Peter presents them in a specific order. He also writes about the reality of what it means to be in Christ and to be “cleansed” from our old sins, and then even brings in the idea of assurance of salvation, the promise of eternal life in “the everlasting kingdom”of the Lord.